If you own the 2018+ Gold Wing and don't have a spare key fob, we highly recommend you purchase one just in case you misplace the original. After all, it's better to be safe than sorry. 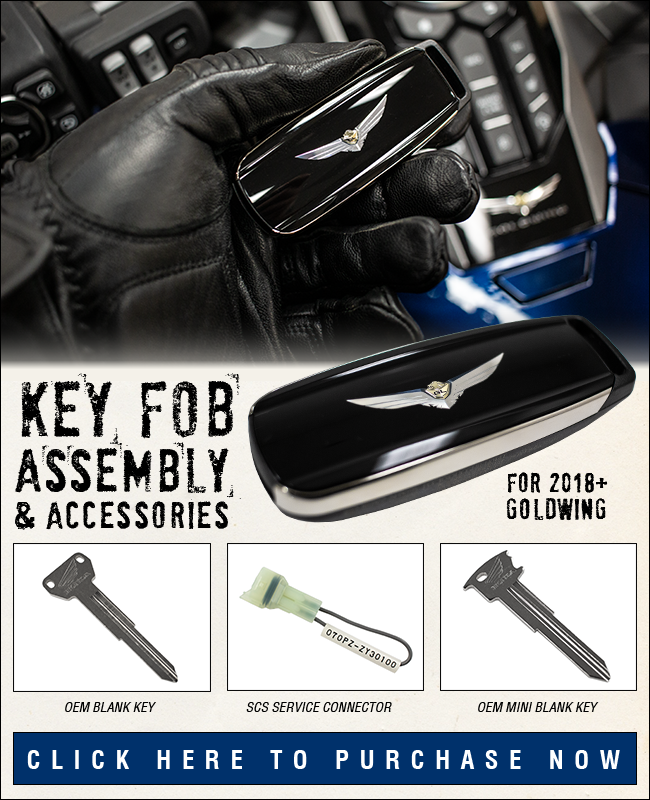 OEM Smart Key Fob Assembly, Key Blanks and SCS Service Connector/Fob Programmer for 2018+ Gold Wing are available now at WingStuff.com. Click the image below to shop! When you get your spare Smart Fob, you will need to program it to your bike using the SCS Service Connector (Or you can take it to your local dealer). Make sure and take a look at the videos on the product pages to get a step-by-step tutorial.